I had a hard time figuring out what to call this idea, but I’m sure you get the gist of it: I’m trying to show you how to make your own gift card pocket out of a store bought card that wasn’t meant to have a gift card in it. Because those types of cards seems to cost more than regular cards and I always just go for $1 cards anyways… So here’s a quick, money saving trick to make your own card to hold a gift card! 1. 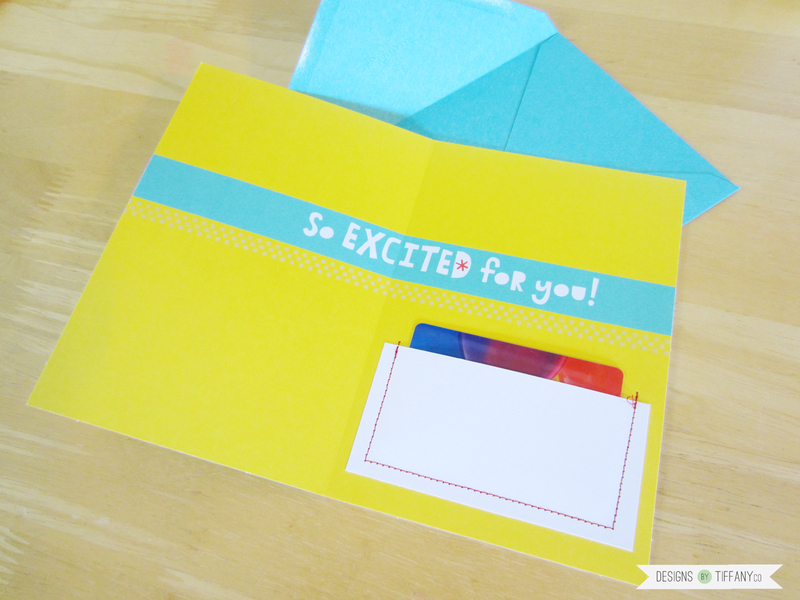 Cut your cardstock into a pocket that will fit your gift card. I found that 4.25″x2.25″ was a good size. It gave plenty of room to sew with. 2. Sew your pocket onto the card. Make sure to backstitch on the top seams. 3. Trim your thread and it’s done! That's actually a really great idea!